Running is one of the most readily available options to get in a good workout wherever you are. Whether you prefer going to the gym, an off-road trail, or the treadmill at home; you can run anytime, anywhere. Here are four science-based health benefits from getting in a quick run on a regular basis. Lose Weight: Running is one of the best and most efficient ways to burn off calories. Skip the gym costs to reach your weight goal by simply enjoying a good trail and some fresh air. If you plan to run outdoors through the fall and winter as daylight hours diminish, be sure to use proper safety precautions to protect yourself and others. Some helpful gear you might want to consider investing in would be a reflector, a small flashlight and a waterproof cellphone case or an arm strap holster. Increase Bone Strength: Long time runners often suffer from knee, shin or ankle problems, leading many to the conclusion that running is hard on your body. However, more recent studies have shown evidence that running on a regular basis can help improve bone health and build bone mass. Talk to your doctor about the possibility that running can help with your bone strength. Improve Health: Exercising for at least thirty minutes five times a week will improve anybody’s health. 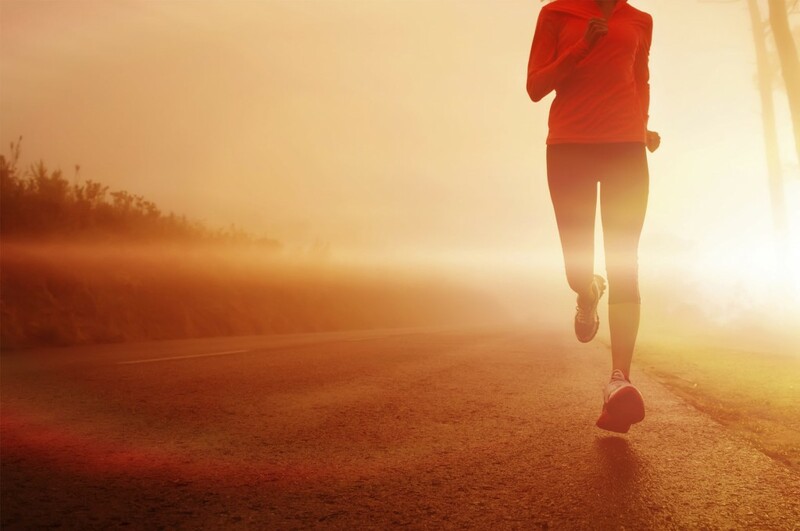 Runners have been shown to have a healthier cholesterol, immune systems and lung function. More recent studies are showing that long time runners can add years to their lives. Stress Less: Research shows that regular exercise can lift a person’s mood and improve their sleep quality. A good exercise can help a person cope with anxiety and stress as well as aid with depression over time. So if you are feeling down, stressed, or you just can’t sleep, lace up your sneakers, do a few warm-up stretches, and go for a good run around your neighborhood, through your favorite park or around the track at the gym. Just 30 minutes of running at least five times per week can make a big difference.